I don’t know if you’re familiar with the side streets off Digbeth High Street, but if you are then you may well drive down them at 40 with the doors locked and windows closed. They do not feel salubrious, and I wouldn’t wander around them alone after dark. 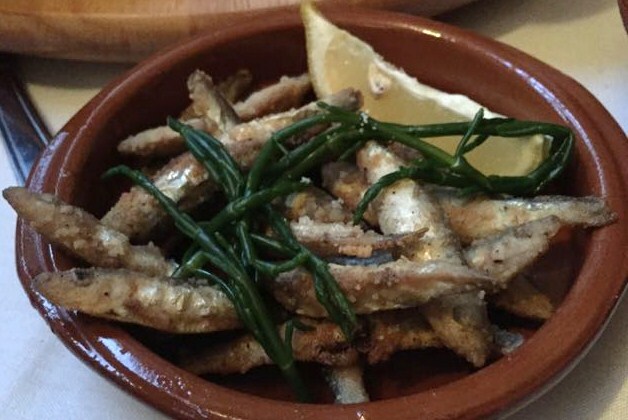 On a Summer’s Thursday night we finally tried a tapas joint that everyone has raved about for months – Rico Libre, on Barn Street. Walking from the High Street past dilapidated factories, knackered motors, and graffiti covered lock-ups you won’t come across some modern palace, but you will come across the vividly painted restaurant. It isn’t much to look at from the outside. It isn’t much to look at from the inside either. Tables that estate agents may refer to as “compact” provide a perhaps overly intimate setting for dinner, underneath a polystyrene hung ceiling covered in posters to hide the damp spots. But there the problems stop. We arrived to jovial hosts with a sales patter that would put to shame that of many of the better restaurants in town. A request for a larger table for our party of five was duly granted and tapas started to appear, first bread and olives while we reviewed the menu. We got cracking on our Bring Your Own Booze (the restaurant isn’t licensed) while we ordered a bunch of dishes to share. The restaurant tell us they prepare and cook everything in house, and it shows. The food we had was really good. It’s served like proper tapas i.e. 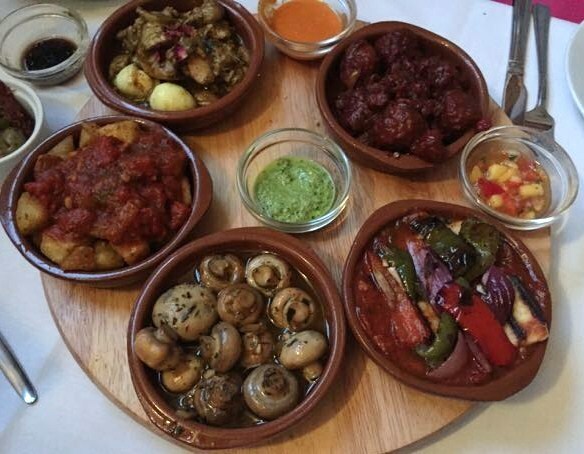 each small plate will arrive at the table when it’s cooked, it won’t all come together as starters and mains. As well as over a dozen dishes in the three for £12 list, there were another five specials at £5 and more specials on the blackboard. There was plenty of choice. We had a bellyful of food and it came to about £12 a head, I left fit to burst. So it’s a total bargain. I tried earthy chicken livers with chorizo in a syrupy red wine sauce which was my favourite dish of the evening. The garlic mushrooms were in pungent melted butter, great to be dipped in to by the fishy lightly breaded whitebait. Also, we tried the sweet fleshed fried fish of the day which was in a light batter. 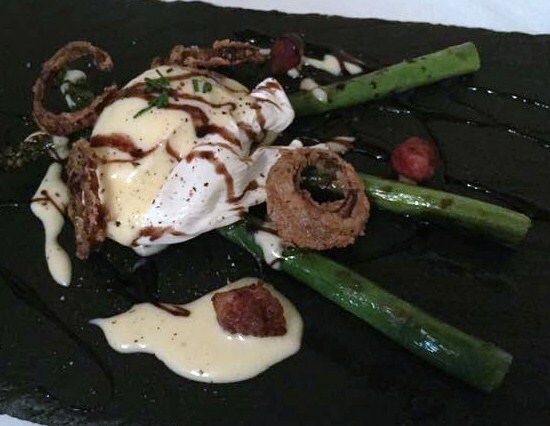 The calamari was soft and again in a light crisp batter. Patatas Bravas offered some tomoato spicy carb. We also had the prawns, lemon chicken with quails egg, meatballs and more! The area may not have been tasty, but the food certainly was. Good service, good food, and great value – got to be worth twelve quid of anyone’s money. 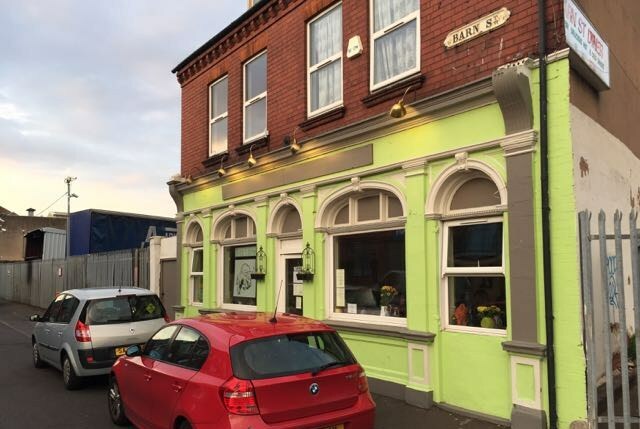 This entry was posted in Area: Digbeth, Cuisine: Spanish, Cuisine: Tapas, Price: Cheap as Chips - Inexpensive, Venue type: Cafe, Venue type: Restaurant and tagged Birmingham Restaurant, birmingham restaurant review, birmingham review, eating out in birmingham, Out In Birmingham, out in brum, OutInBrum, restaurant review, where to eat in birmingham, Where To Go In Birmingham, where to go out in birmingham. Bookmark the permalink. It was a great night out. We’re back there on Friday, sharing the joy with friends of ours.